Art direction and design of seasonal paper collections. 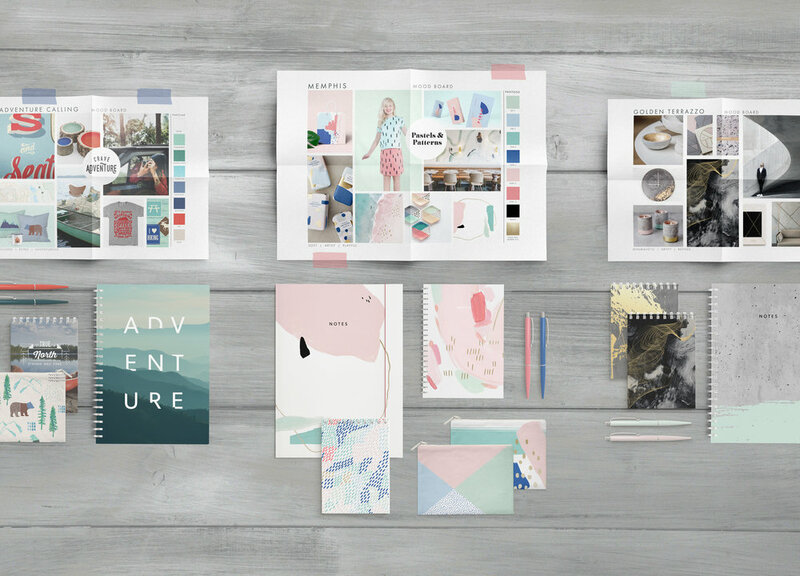 Beginning with mood boards and artwork sourcing, the creative was then carried out to journals, notebooks and other paper accessories. Banners were created for the website, all social media channels, affiliate ads and email blasts. Banners and ads were created for all social media channels and print media. Logo and identity design for coffee bar. Products designed include in-house ware and accessories, takeaway packaging, and business cards. Logo and identity design for coffee bar. The concept of UNITY was employed to create the identity. Taking inspiration from the notion of people coming together and sharing a 'common ground', each unique letter in the title is seen as a separate element which then coalesce to form the logo. 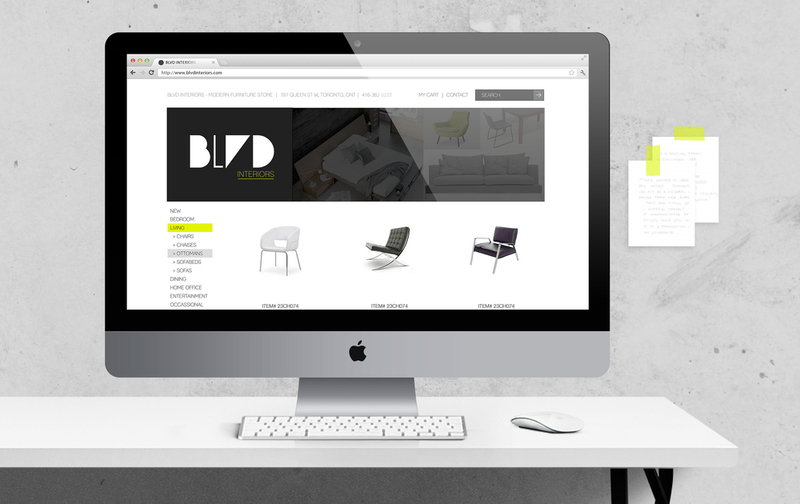 Logo and identity rebrand for furniture boutique. 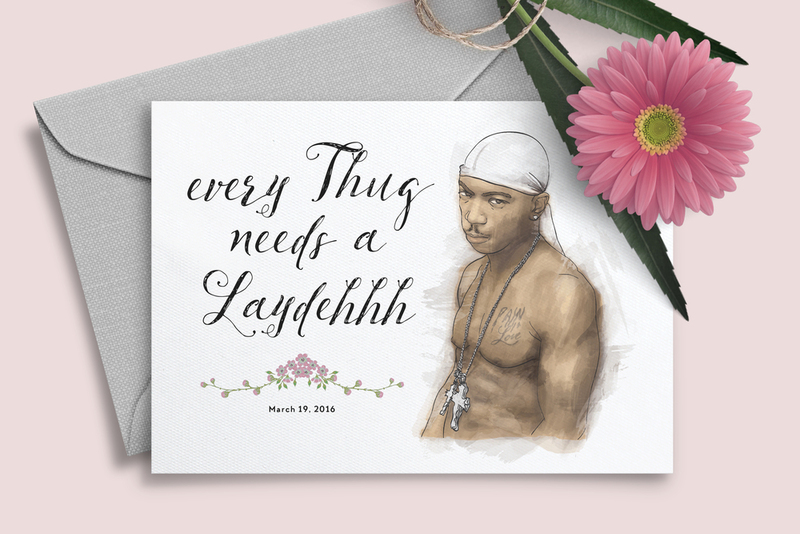 Print materials developed include business cards, invoices, letterhead, bags, and hang tags. Other digital assets were redesigned and streamlined, including social media pages, banners and email blasts. Online promotional materials such as website banners and email blasts were designed to align with the new branding colours/aesthetic, and be displayed consistently across all platforms. 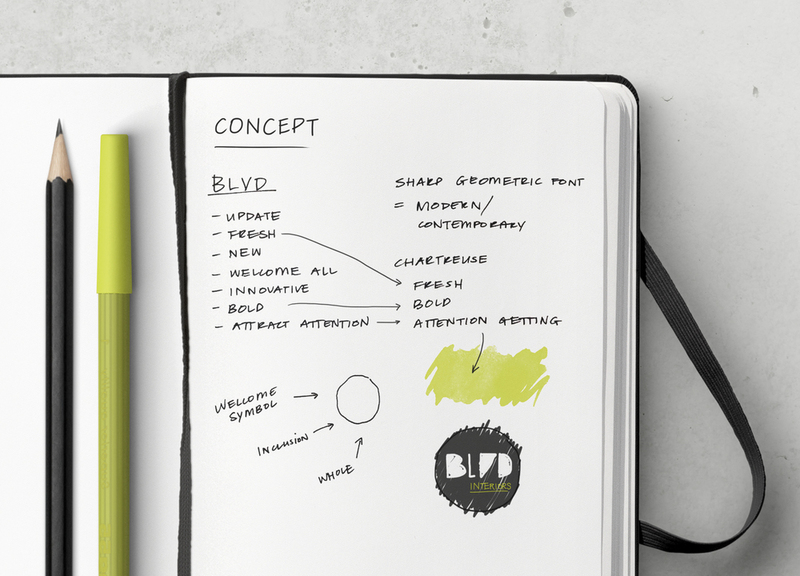 Desiring a fresh, modern and inclusive identity to mirror their product offerings, a circle was used as the basis of BLVD's new logo. A bold chartreuse hue was also utilized as part of their branding scheme. Logo and identity design for a freelance acupuncturist. Clean and refined branding was used across all print collateral, including business cards, letterheads, envelopes and notebooks. 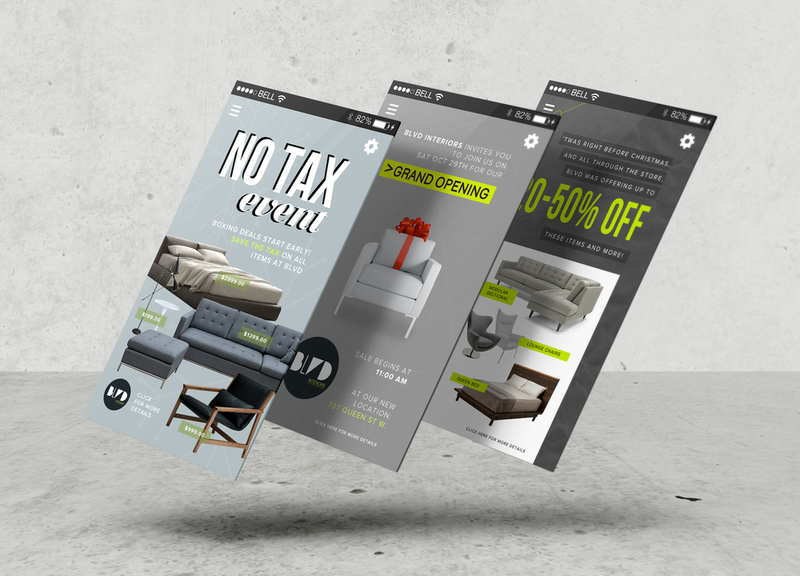 In addition to print collateral, a website was designed for desktop, tablet and mobile applications. Using the concept of SYNERGY, and maintaining a minimalistic aesthetic, the logo is comprised of acupuncture needles in a tetrahedron formation, echoing the visual symbol of synergy and collective strength. Digital collages created during a residence at Will Alsop’s architectural studio in London, England. The posters visualize elements that will be essential for planning future inhabited spaces. Editorial design for report spotlighting innovative and notable architecture and design firms. As part of a Change Management strategy for a major office move, a welcome brochure was designed to help introduce employees to their new office, neighbourhood and amenities. Custom font was used to reiterate branding and image, while simple graphics and icons were designed to help illustrate new office etiquette and culture. Wedding invitation design with custom illustration/ digital painting. Detail of custom illustration/ digital painting. A children's activity book was illustrated which included motifs inspired by the couple's relationship and wedding locale. Poster design for fundraising event. The vintage design, colour tone and visuals echo the theme of the event. Album cover art direction and design for indie artist. A retro colour palette reflects the artist’s sound, which is reminiscent of old school soul and rhythm & blues.